We offer a range of design services for businesses of all sizes. Great design goes beyond aesthetics. A compelling visual identity sends a message and allows you to stand out from your competitors. My approach to branding is thoughtful and empathic - I want to get to know your products and services, your customers, and you. Knowing the origin story of your brand and what drives it helps us create a resilient visual identity tied to your values. We’ll amplify what makes you and your business unique in order to craft an individualized solution just for you. We offer a complimentary one-hour phone call or video chat to discuss your objectives for your project and get to know each other. If it feels like a good fit, we move forward to the next stage. If not, no hard feelings! If you decide to sign on, we send you the discovery questionnaire, which focuses on all aspects of your business. This is a crucial step in the process as it gives us a solid understanding of where you are at and where we need to go. It is a useful process for any business owner and will help us tackle the creative portion with a clear plan. We meet to review your answers and complete an ideal clientele exercise. This will allow us to identify your target audience and create an aesthetic that speaks directly to them. Taking what we learn from the discovery questionnaire and phone call, we develop a visual mood board. We will use this mood board throughout the project to have a visual direction guiding the rest of the process. 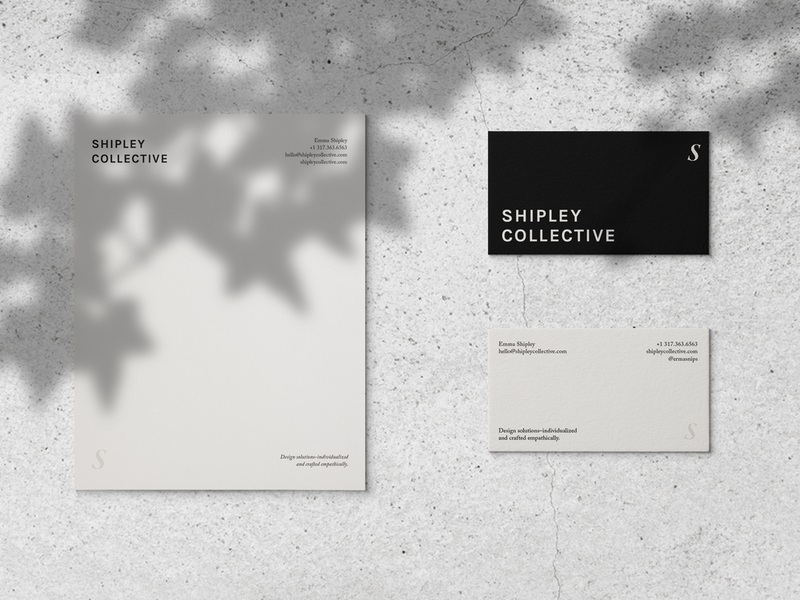 Building out from the mood board, we create the initial drafts for your visual identity. This includes approximately 3 logo concepts and visual elements—typography, color palette, illustrative style—to create an overall look and feel. Two rounds of revisions are included in the branding package. During this portion, it is important for us to maintain a collaborative dialogue to ensure all of your needs are met. Once the revision process is complete, we compile all of the final design files into a pretty package and present you with your brand guidelines—a comprehensive guide to using your new brand. We understand that each project is different, and we are happy to add on items from our a la carte menu to fulfill your needs. We love working with established brands on creative projects of all kinds. Below is a sampling of the services we have offered our past clients. Don’t see your need listed? We’re always up for a challenge! Send us a message detailing your request below. Ready to step up your branding? Got an idea for a creative project? We'd love to hear from you. Fill out our contact form to get started.